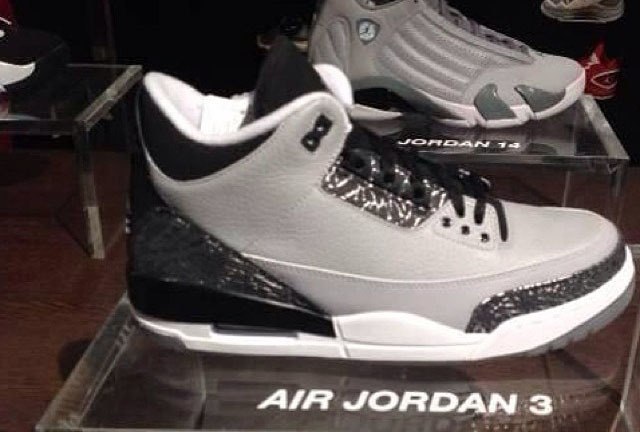 Wolf Grey is back in style this Summer and come July, the Air Jordan 3 will be seeing it’s Wolf Grey rendition featuring an odd Metallic Silver elephant print. 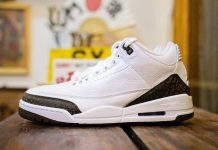 Some extra features include a tumbled leather upper with nubuck on the tongue and collar, while a white midsole and grey outsole keep these Air Jordan 3’s classic. Let us know if this is a cop or drop for you in the comments section. heel looks waaay too long. 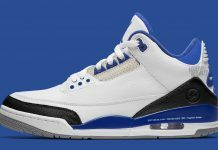 Shape of the shoe is off and just looks fake. 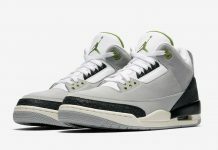 Fake pair of a new release? ?